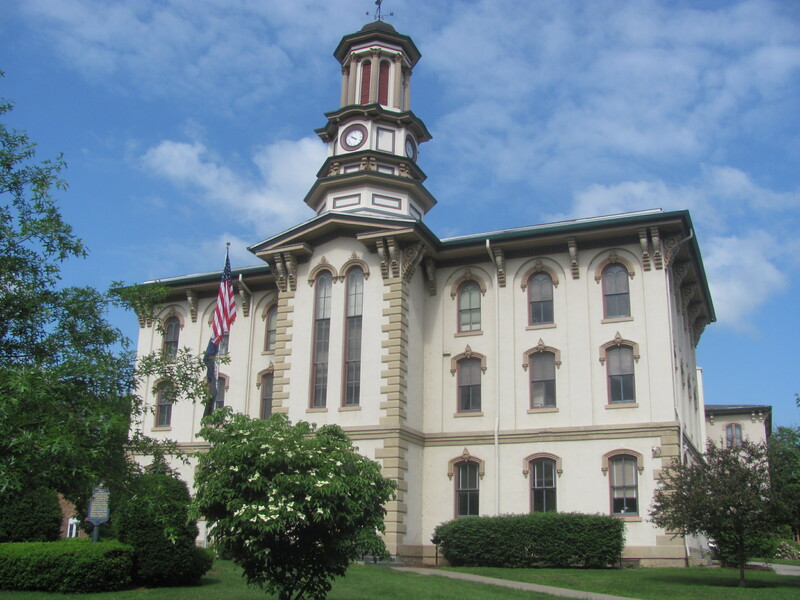 Wyoming County Commissioners split a vote on June 5 but approved an amendment to a contract involving the painting of the windows in the courthouse in Tunkhannock. It was not the first glitch in an already quarter-million dollar contract and will add significant costs to the project. 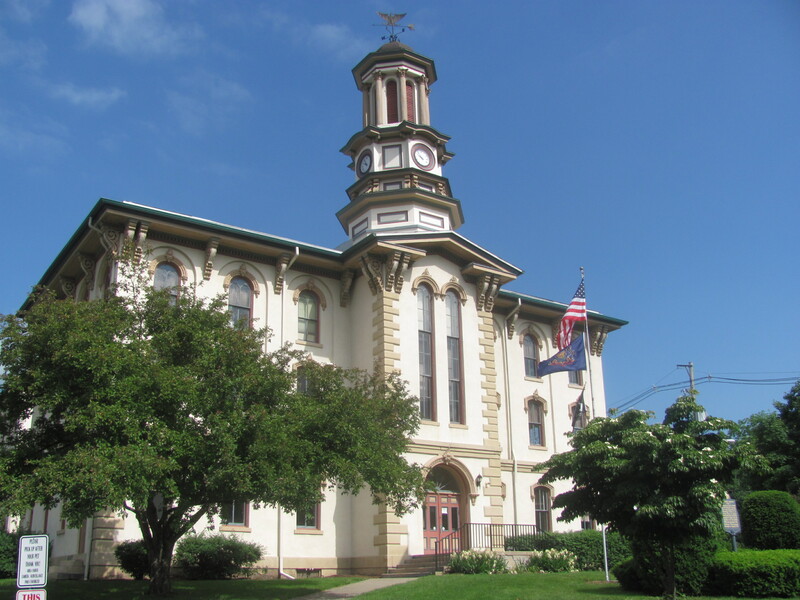 The June 5 meeting of the Wyoming County Commissioners, postponed to Thursday due to participation by board members in a taping of a PCN television program, started off largely upbeat. Chairman Tom Henry announced that fellow commissioners Judy Mead and Ron Williams had met with representatives from Keystone Community Services at the Wyoming County Senior Center and felt confident that the agency will do a fine job at providing services formerly offered by United Rehabilitation Services (URS). “The (expected) lapse in services keeps getting shorter,” Henry remarked. URS shut down facilities in Hazleton, Wilkes-Barre, and Tunkhannock with little notice, tossing employees and the community into limbo. A series of productive public meetings were held, and Keystone Community Services stepped up to the plate to pick up as quickly as possible where URS left off. The commissioners expressed their pride in participating in the Memorial Day celebration at Black Walnut where one of their Tunkhannock borough colleagues, Stacy Huber, received the Don James Lighthouse Service Award for his service to his country and for the community at large. In the nuisance business category, the commissioners related that they would soon be publicly seeking letters of interest and qualifications for the inspection of 26 county bridges. The county has previously secured the services of CECO Associates, with which the commissioners have been satisfied. A new federal policy, however, mandates that the process be opened to other qualified companies as part of the National Bridge Inspection Program. The federal government reimburses counties for about 80 percent of the estimated $100,000 per year spent to maintain county and township bridges, and the additional 20 percent comes from the county’s liquid fuel funds. Except for two bridges in the Fall area, Williams maintained that the other 24 bridges are “In great shape.” Nonetheless, the commissioners appeared in agreement that they would rather not be involved with bridges at all. In a discussion about a quarter-million dollar lighting and window project that includes the replacement of all the windows in the courthouse with energy efficient units and the painting of the sills, Mead and Henry noted that they had rejected the sample window design first offered by contractors Commonwealth Energy. Williams was displeased with a glitch in the contract that will add approximately $26,000 to the price tag. Apparently, it had gone unnoticed that painting wasn’t in the contract from the beginning. When it was discovered that the sills and frames were badly deteriorated due to decades of exposure to the elements, Commonwealth Energy added $26,000 to the contract. “They’re sharpening their pencils on us, and I think their lead is going to break,” Williams remarked as he voted against accepting the increase to the contract. Henry said that he and Mead were not happy with the situation but were voting to move the project along. The new windows should be installed within the next month. “I think that we would have had it done locally cheaper,” Williams said afterward of the painting. He suggested that his fellow commissioners were unnecessarily impatient. In a final bit of gas-related news, Mead related that Wyoming County will receive $1,149,403 in impact fees and additional $26,951 in its legacy fund. Part of the funds will go to the county with the majority of the money going to the most impacted municipalities.